I recently traveled to Germany to attend a material handling trade show. Due to the quirky economics of air travel, I had to get there a day early to avoid a “stupid insane” ticket price as opposed to the “normally exorbitant” price we pay Delta here in Cincinnati. A light bulb in my head went off and the idea of taking advantage of experiencing driving on the German Autobahn began to form as something to do on my extra day. 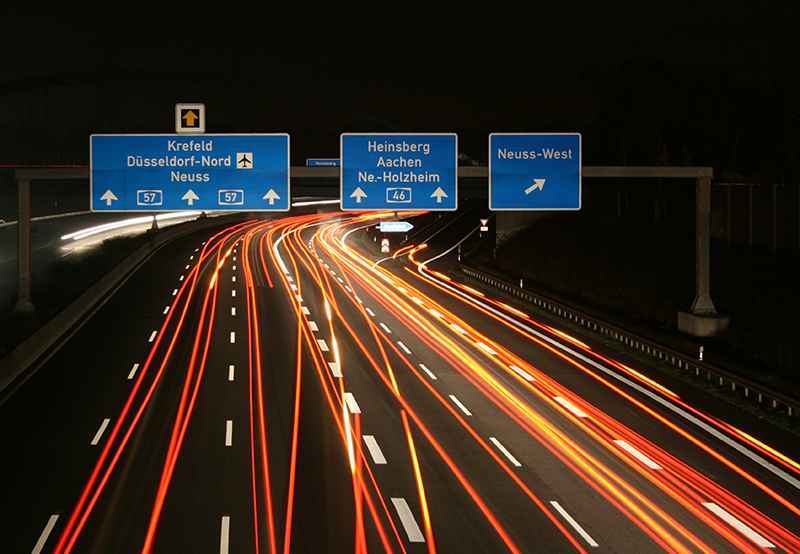 For those that don’t know, outside of congested areas, the German Autobahn has no speed limit. I got on the Hertz website to reserve a car. I began to salivate when I could reserve a “BMW 3 Series or equivalent.” I eagerly clicked the selections, checked the right boxes, and began to mull over where to go on a high-speed driving day trip. Well, reality set in when I got to the Hertz counter in Hannover. The nice lady handed me keys to a Nissan “X-Trail” diesel (a #@$&*#? diesel?). I informed the nice lady that I had reserved a BMW 3 Series and she said “Oh, this is equivalent.” I am thinking in what twisted universe does a Nissan diesel quasi- SUV be considered “equivalent” to a BMW 3 Series? Well, that twisted universe is the Hertz counter in Hannover on a Saturday when a trade show is in town. Anyway, the Nissan was brand-spanking new and I needed to drive to my hotel, so off I went. Bonus: New car smell in Germany is the same as new car smell in the U.S. – in other words, delightful. On Sunday, I decided to drive from Hannover to Frankfurt and back. This is basically the same distance as driving from Cincinnati to Akron and back – only with no speed limit (!). I am not an auto racing enthusiast or really a car guy for that matter but having no speed limit was getting me pumped. As Vincent (John Travolta) explains to Jules (Samuel L. Jackson) in Pulp Fiction, it’s the little differences that stand out between the U.S. and Europe. On the Autobahn, it’s not much different than home until you look and pay attention. First, there are few semi-trucks on the road on Sundays because they are (mostly) prohibited by law and the ones on the road are only allowed in the right-hand lane. (Wishful thinking to ever get that in place and enforced in the U.S.) I also didn't see a minivan on the entire drive; however, the station wagon was very much a fixture. I saw two (yes, only two) pick-up trucks. One was a big Dodge Ram and the guy driving it looked like an American dude who had to move to Germany and could not part with his truck, so he must have brought it with him. It was a nice and warm sunny day and people were pulling their various campers and trailers. However, they were pulling them with their cars and station wagons – no ball hitches on 4-door Ford F150s or Escalades anywhere in sight. Another subtle difference was I didn't see anyone texting while they were driving. Maybe there was a smattering of people talking on the phone, but nowhere near the numbers you see texting and talking in the States. Now for the similarities: You still have the occasional person in the left-hand lane going too slow, but it doesn't last for long. I guess the people in Germany have a more acute sense of when they need to get over. (An ability that could be better cultivated here at home.) And last but not least – it does not matter how fast you go, eventually there will be someone behind you chomping at the bit for you to get over so they can pass. About the best my little Nissan diesel could do was about 215 Km/Hr (about 135 mph). The few times I was cruising along at that clip, there was an Audi or BMW behind me flashing its lights and impatiently waiting for me to get the heck over. So, driving the Autobahn was an enlightening and fun experience. Sometimes I wish the interstate system in the U.S. had stretches with no speed limit; but sometimes it is the journey that is important and not the speed at which you get there. For those of you who are faithful readers of this column, you may be expecting my signature “elegant segue” from the topic written so far into something about PulseRoller products. Well this month I don’t have such a segue other than: No matter whether you like the fast lane or the slower lane, PulseRoller is a wonderful companion for your journey along the material handling Autobahn.